The ‘Strangerz Crew’ dance team was formed in the year 2009 by a bunch of enthusiastic students who had an undying passion for showcasing their talents. Strangerz crew has quickly grown in eminence to be Chennai’s top dance crew.Their impressive ride to the top is peppered with medals and trophies and accolades. Their victory in the qualifying stages of the international competition, The World Of Dance, is their latest feather in their cap. Now they stand a threshold of greatness as one of the two teams chosen to represent India in the World Of Dance finals in Los Angeles. Hi! This is Krishna (Co-Founder of Strangerz Crew)! We guys been dancing since 2009 and actively been participating in all the dance competitions and reality shows happening all over India. 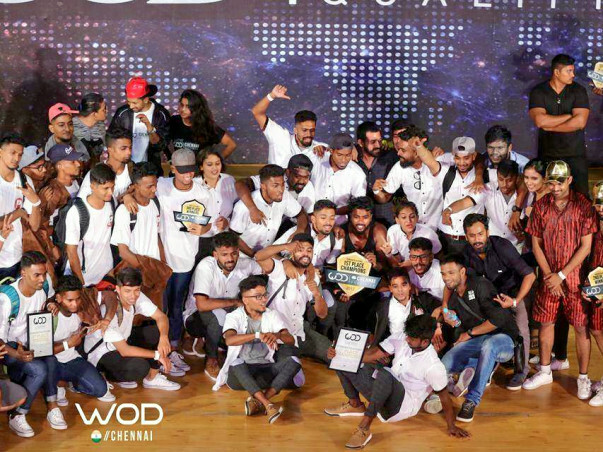 And recently we had taken part in the worlds most prestigious event "WORLD OF DANCE" and we have been qualified to represent India at the finals of World Of Dance 2017 which is going to happen on July 22nd 2017!